Drop by the shop Tuesday, Feburary 21 for our Mardi Gras specials! 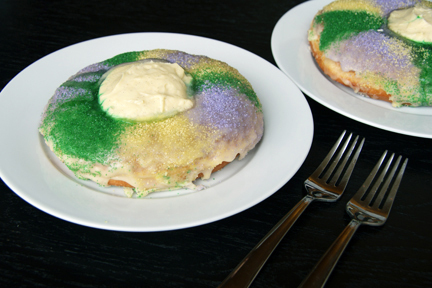 It's only a buck for beignets and $4.99 for King Cake Donuts (pictured below). Beads and streamers welcome.